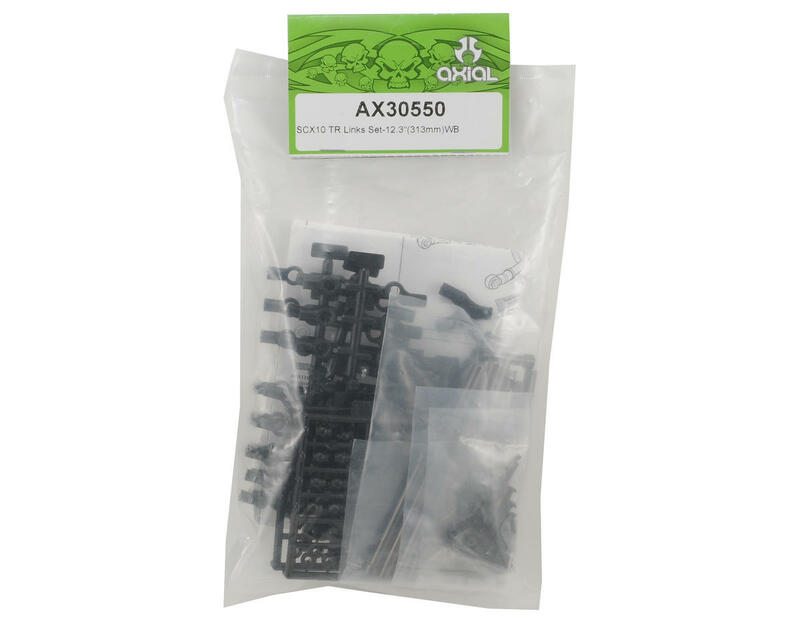 This is an optional Axial SCX10 TR Long Wheelbase Link Set. I order this on a Sunday evening and the USPS had it here by Wednesday. The product itself is a wonderful upgrade from the stock plastic links. However, it is plastic rod ends. The install instructions where good, even though you only need help getting started. I haven't put it to its test yet, but, I did pull it up on the concrete side walk out front and pull up to the porch so it would go anywhere, and, the stock 27 turn motor roasted all four tires leaving a pretty nice black mark. The stock links would have just let the axles and driveline get in a bind. If your thinking about upgrading anything first on your scx10 this would be the first. Great upgrade. Good quality easy assembly. Less flex. 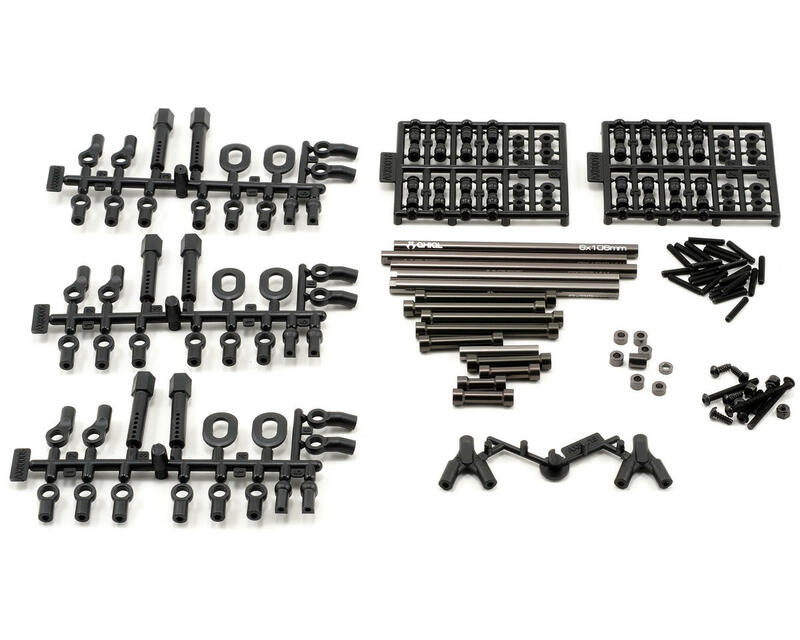 FYI the steering link up grade kit is included with this. I ordered both so now I have extras. great upgrade on my honcho love the looks and alot less flex in the driveline.amain hobbies has the best shipping got my order in 3 days great company to use.